So, here’s the real life story of how Louie and I decided to have the Slutty Hearts play at The Banana Stand. Louie and I were drunk at Rotture one night a couple years back because we had heard great things about Reporter, who were very good, however, we ended up more enamored with opening act Slutty Hearts. The duo’s bare, but methodical brand of minimalist dirty pop was entirely lovable in a way that was a blend of equal parts bitter and sweet. After their set, we asked the band to come in and play a Halloween show with And I Was Like What? aka The Hauge, and they agreed. 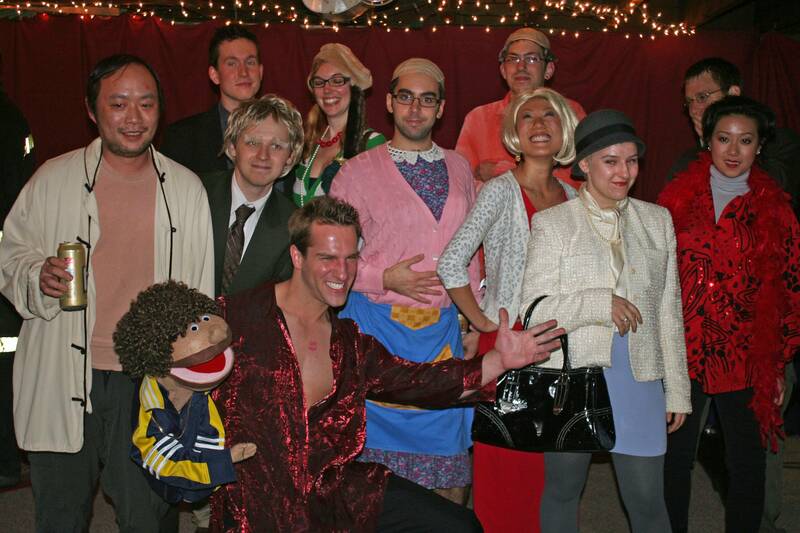 Halloween is always a fun time in this city, especially last year when our friends dressed up like characters from Arrested Development. And having Slutty Hearts in to kick off the night was fantastic. Check out the recording and donate a few bucks for the download if you’re so inclined. As the wet season comes back to the pacific northwest, you’ll need some somber, yet steady tracks to push through. The jaunty tune titled “The Ballad of the Food Stamp Office” could easily be the theme song to Portland’s working artistic class of transplants, and the rest of the album is full of pop melodies to get your toes tapping while you smoke your cigarettes under an awning to avoid the rain. Slutty Hearts – Live from the Banana Stand was recorded before a live audience on October 30th, 2010 at the Banana Stand in Portland, Oregon. The album was mixed by Vic Lund. Brian David Smith handled design and layout for album art, which includes original photography from various ‘Standers and the original show poster, also by Brian. The Banana Stand would like to thank Slutty Hearts (Marissa, Marty, and Cathleen), all who participated in this album’s creation and anyone that has helped us out along the way. Find more from Slutty Hearts on Facebook and SoundCloud.